No Bull, It’s The Calgary Stampede! Nothing says “Calgary” like the Calgary Stampede! The town isn’t nicknamed “Stampede City” for nothing! What began as a Exhibition in 1886 and then a Stampede in 1912, grew into an event that attracts over 1 million visitors per year! The Calgary Stampede features events such as Rodeos, Derby races, and Parades. This vintage Calgary Stampede button featured here is one from 1981, back when the stampede had just reached its peak visitor attendance of over 1 million for the first time. It features a bull on the front, representing the bull-riding event that takes place during every stampede. It is one of the stampedes most famous and well known events in the Rodeo category. 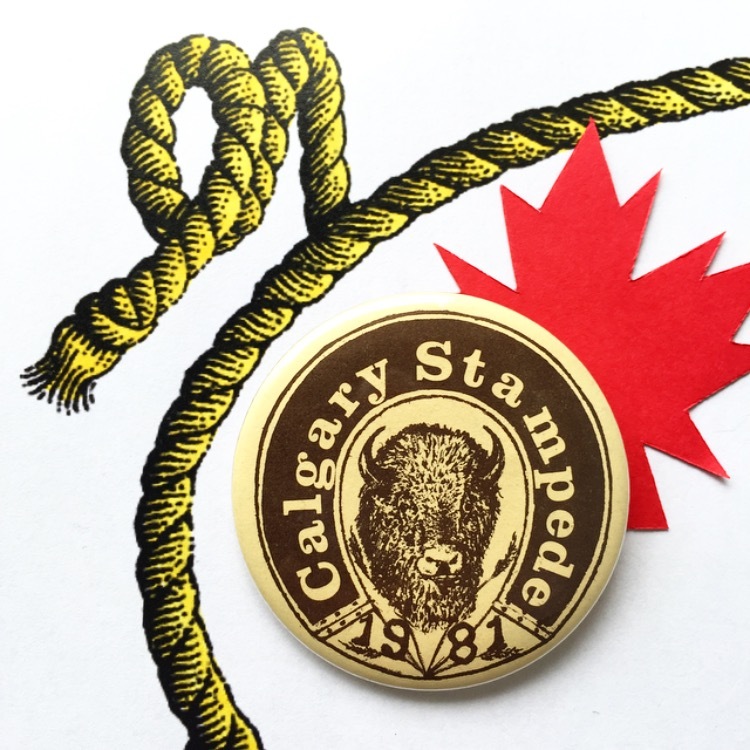 It’s clear that the stampede has really impacted the history of Calgary. From a small fair in a small town that only brought in 100,000 visitors, it has expanded to the highest grossing festival in all of Canada!